We understand that you want to make sure of what you’re getting before you make that big commitment. That’s precisely why we offer “No Obligation” demos on most of our machines. Take a look … have a play … put it to work … there’s no better way to make sure you’re getting what you want. Our friendly sales guys can meet you at your job site and even provide training for your crew prior to use. 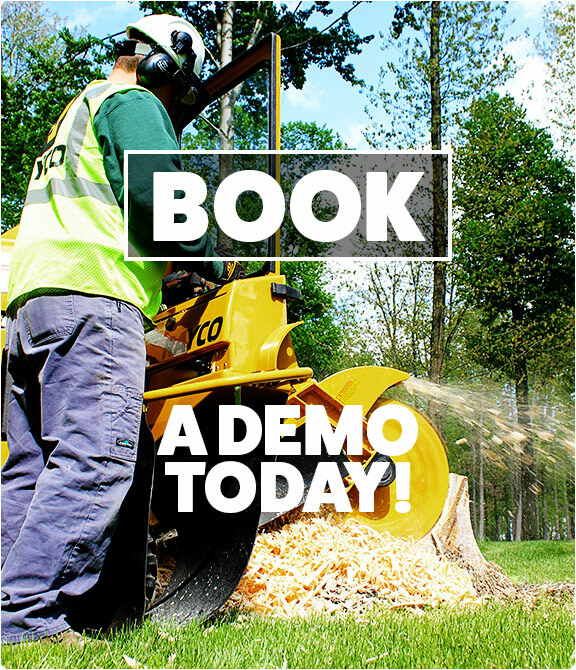 Complete the Booking form to schedule a demo or call direct on 1300 072 926. Tick below if you wish to receive exclusive offers from Global Machinery Sales. Global Machinery Sales supplies the Arbor, Forestry, Access and Farming Industries with quality Wood Chippers, Stump Grinders, Forestry Mowers, Horizontal Grinders, Log Splitters, Spider Lifts, Mini Loaders and Recycling Equipment from leading brands such as Morbark, Rayco, CMC, Timberwolf and Angry Ant. Subscribe to our newsletter to stay up-to-date on all the latest industry news, our news and to receive exclusive offers.